I am going to break off from the education for this blog post and tell a funny story...or at least one that I think is funny. It's about the first time I wrote ad copy for a sponsored ad campaign. When I first came into the web marketing industry it was with a large Search Marketing firm in Pittsurgh called IMPAQT. They dealt with, and still do, many Fortune 500 companies. I started with a group of maybe 5 people and we went through some pretty extensive training. It was quite enjoyable, educational, and definitely for just starting in the field overwhelming. Nonetheless, we had fun with it. After training, or boot camp as they called it, is complete you enter into the real world of search marketing. Many of the tasks you start off with as a search associate are not too much to ask...keyword research, ad copy writing, etc. I felt pretty comfortable with the stuff after training, so I wasn't too intimidated at this point, just ready to get rolling! After a few days of keyword research for a couple clients...lots of keywords...I got teamed up with another one of the guys I started with, Jason Brown. How exciting, a new task and we get to work as a team! It brought be back to the days in high school when we got to work in groups, so much more fun than working alone. The task assigned to us was writing ad copy. 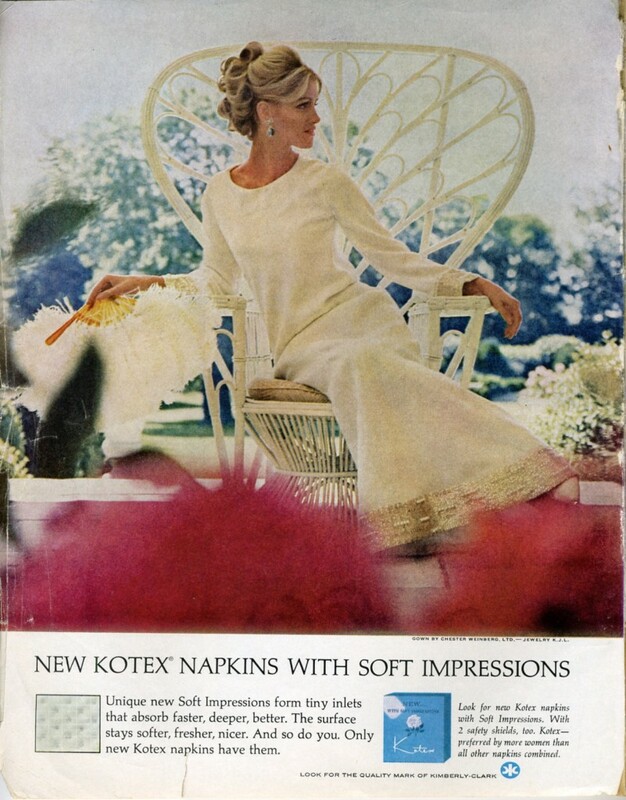 Not just any ad copy...ad copy for Kotex. Yes, the feminine products. So here we are. 2 twenty-something guys, new to the search marketing industry and very, very unfamiliar with the feminine hygiene industry tasked with writing ad copy. Being as though we weren't at the point in our careers there that we felt comfortable disappointing our superiors, we felt that we should do a good job. So we spent a bit of time researching each of the products that needed ad copy. It was educational, but we obviously we still had some questions. To make sure we didn't fail miserably we had to ask questions of a couple of our new female co-workers. So if it isn't odd enough already for us, now we're asking questions to our newly acquainted co-workers about woman topics that twenty-something guys don't generally like to talk about, period. See what I did there?...pun was intended. So we were on our way. We felt like we were educated enough to move on. We worked on the ad copy like champs. And to be honest, we had fun with it. We spent several hours and had a lot of good ideas and a lot of bad ideas. In the end we felt like we wrote some pretty clever ad copy. Lucky for us we got to present it to a group of people. Which at this point didn't really bother us. We were happy to just have completed the task with what we felt were some pretty creative ads. In the end, most of the ad copy was approved. Not only was it approved, but it ran for quite awhile and performed pretty well from what I remember. Sure there is. Have fun and be creative with your marketing. Sometimes it helps to step outside the box to get good results. We did just that and ended up doing a good job (at least we thought so). I know that this wasn't a side-splitting funny story, but I never claimed to be a comedian. It's just one of those stories when I step back and think about or if you can place yourself in the situation, is kind of funny. It's also one of the reasons I like working in the web marketing industry so much. There is always something new to do and even when tasks are similar, you are always working on a different topic, learning about different businesses, and helping them become successful online.